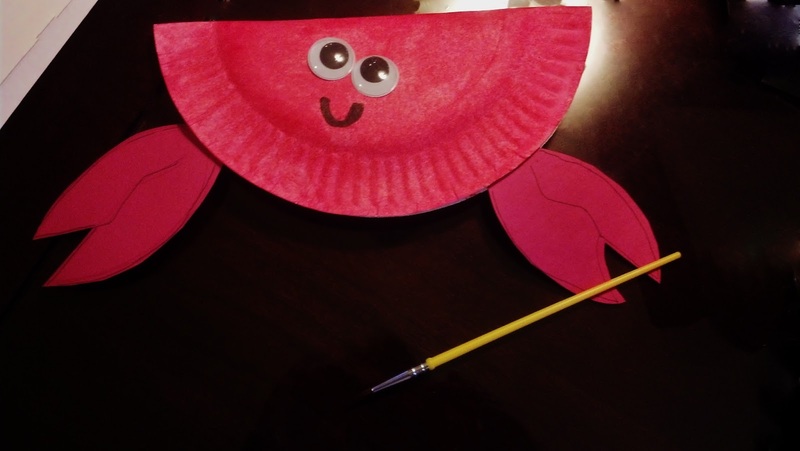 This Crafty Crab, is an easy project that can be adapted for all ages. A paper plate folded in half with construction paper claws. Children can decorate the crab, here we used water colors and googly eyes. For younger children you can tell a story about a crab, or have them tell you a story. For older children do not attach the sides of the paper plate so that it can be opened and laid flat, have them include facts about crabs or a story on the inside of the crab. This activity combines both art and literacy.